A: The Telephone Robocall Abuse Criminal Enforcement and Deterrence (TRACED) Act would update federal telemarketing laws to widen the enforcement net for unsolicited phone calls. The bipartisan bill takes aim at malicious telemarketers, commonly known as robocallers, who prey on consumers at all hours of the day. One industry estimate says robocallers contacted American consumers up to 26 billion times in 2018. Remarkably, one forecast predicts half of all calls in the United States could be telemarketing scams by the end of this year. With phones ringing off the hook from unwanted and unwelcome callers, it’s no wonder so many Americans are demanding reforms. My gut tells me these industry estimates may actually underestimate the volume of calls directed towards land lines and wireless devices. The growing volume of mail and constituent calls to my Senate office tells me Iowans are fed up with the incessant, unsolicited intrusions. On this issue, there’s no ideological or partisan divide. Iowans of all ages are calling for an end to the steady stream of robocalls disrupting their daily lives. Like many Iowans, I don’t like to waste time or money. Choosing not to answer calls at home or work just to avoid robocalls leads people to miss legitimate phone calls. This puts a burden on consumers and employees to return phone calls and they may risk missing a time-sensitive call from a client, doctor’s office, airline, or a child’s school teacher. Keep in mind the fraudulent robocall industry is getting more sophisticated to trick people into answering. For example, bad actors will manipulate phone numbers on caller ID systems to closely match the phone number they are dialing. This telemarketing tactic is known as spoofing. It’s more than just a nuisance. Scam artists are using robocalls to steal money and personal information. Congress is taking action with bipartisan, bicameral reforms to help stop fraudulent and illegal robocalls from preying on American consumers. I’m co-sponsoring the TRACED Act that recently passed out of the Senate Commerce Committee. 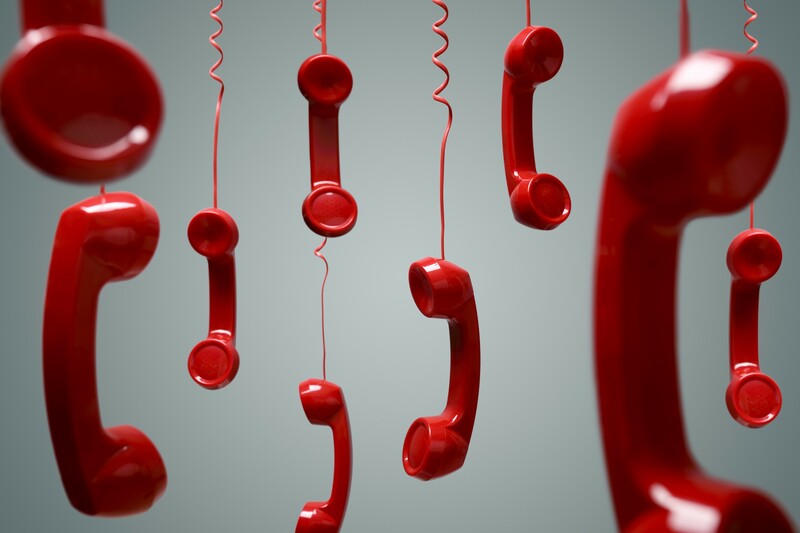 The federal watchdogs tasked with enforcing telecommunications laws report an upswing in the volume of robocalls, particularly during tax filing season. The Federal Trade Commission (FTC) and the Federal Communications Commission (FCC) manage consumer complaints and investigate fraud with law enforcement partners in various jurisdictions to stop wrongdoers who violate federal communications laws. Their work includes stopping robocalls. In fact, the FCC says unwanted robocalls are the number one complaint from American consumers. The FTC reports imposters may use robocalls to pose as a utility, a government agency or even a foreign consulate. Our bipartisan legislation would sharpen law enforcement tools and empower consumers and telecom providers to send a crystal clear message to unwanted, automated robocallers. Our legislative reforms would allow the FCC to levy civil fines up to $10,000 per illegal call and extend the statute of limitations from one year to three years. Our bill also would require providers to adopt authentication tools to enable phone carriers to disclose and verify the origin of an incoming call. That information would allow consumers to make an informed decision if they want to answer a call originating from China or India, for example. The TRACED Act would strengthen the ability for federal regulators to rigorously pursue violators and hold bad actors accountable. Q: What can consumers do to shield themselves from bad actors? A: The FTC operates the Do Not Call registry created in 2003 by Congress. The online registry allows consumers to request phone numbers be removed from telemarketing call lists. Technology has changed dramatically since then and the laws need to stay ahead of telemarketing scammers. In a letter of support for legislative reforms from the 50 state attorneys general, they wrote that a bad actor can send millions of illegal robocalls with an internet connection, a computer and inexpensive software. The FTC has issued guidelines to help consumers protect themselves from becoming victims of illegal robocall scams. First, hang up if the person or the recording is trying to sell you something. If a consumer hasn’t granted written permission to receive a call from a company selling a product or service, that call is considered illegal. Second, consider using technology to screen or block robocalls. Telecom providers may provide call-blocking tools, as well. To learn more, go to ftc.gov/calls. Finally, report the call. Complaints can be filed online at ftc.gov/complaint. Consumers who have received an illegal call or text also may file a complaint with the FCC here.